Become a makeover master with these stylish and environmentally friendly ideas for bedroom decorations, storage solutions, and even furniture. 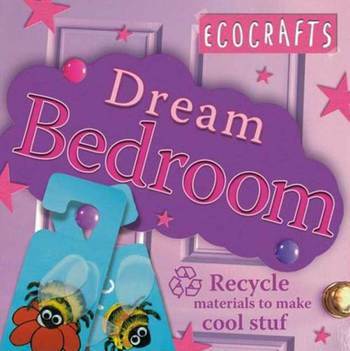 Dream Bedrooms contains twelve projects to transform every child's bedroom using recycled materials. From a shoebox treasure chest and candy-wrapper stained glass to a plastic-bag pennant and papier-mache cacti, simple steps transform practical items into pretty bedroom accessories. Once the do-it-yourself bug has bitten, children will see the design potential in all sorts of objects that they once just threw away. Kingfisher is an award-winning publisher of non-fiction and fiction for children of all ages. Known around the world for its informative and engaging reference and early learning books, Kingfisher also receives widespread acclaim for its classic anthologies for five- to fourteen-year-olds and original picture books for very young children.